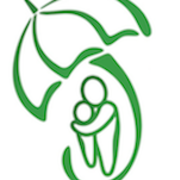 The Umbrella Foundation is a non-profit NGO and registered charity in Ireland, Holland, Hong Kong, UK, USA and Australia working to alleviate the impact of trafficking, poverty and war on children and their families in Nepal. Established in 2005 in response to the growing number of illegal ‘orphanages’ neglecting children’s most basic rights – food, education, safe shelter, healthcare and love – we are a family-first, children’s charity which rescues vulnerable children and reintegrates them with their families and rural communities. When this is not possible, we support them in our homes until such a time as they can stand on their own two feet.